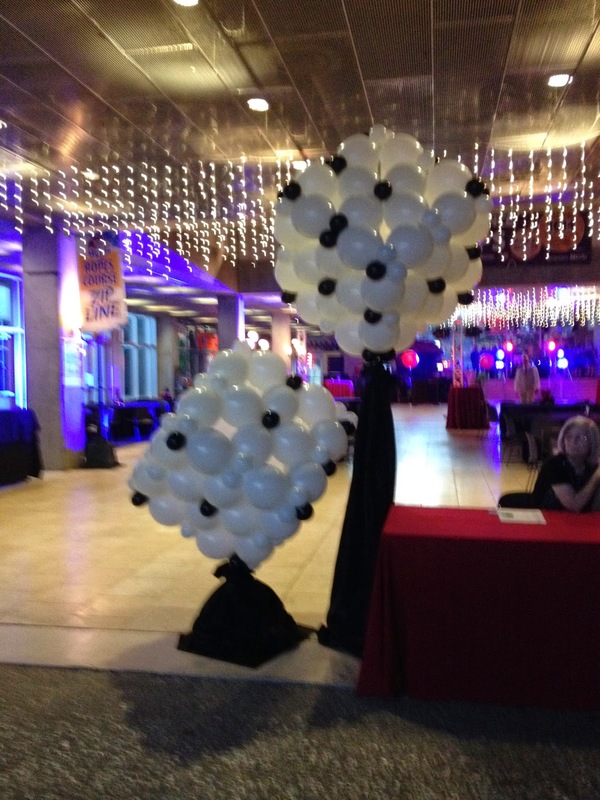 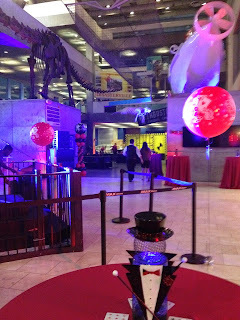 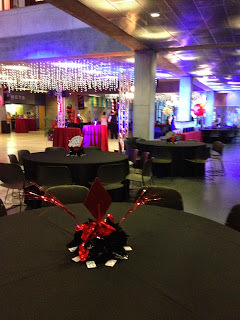 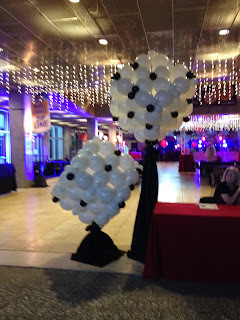 Party People Celebration Company added Casino accents to MOSI in Tampa for 2014 prom for Lake Gibson High School. 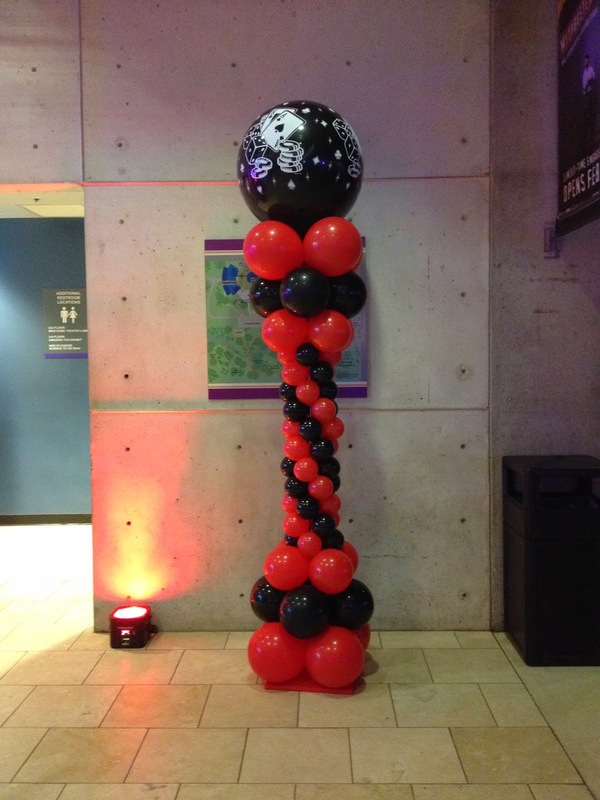 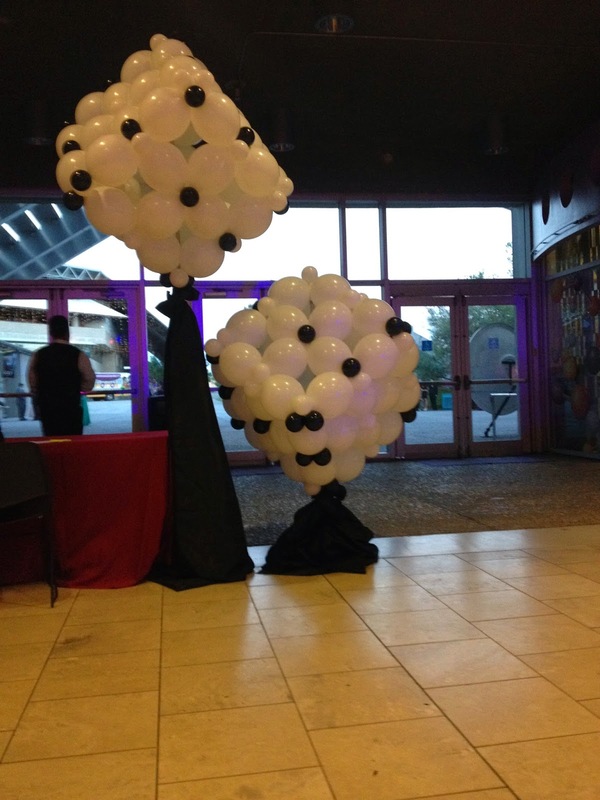 Giant Dice marked the Entrance to Prom. Sculpted columns with 3 ft casino toppers were placed around the prom. Light changing Tux Centerpieces brought color to the tables, and 3 ft helium casino balloons marked the line for the Simulator ride. Casino shape and playing card centerpieces continue the theme to the tables.